PopUp filter is the Rainwater Harvesting filter "Designed and Developed by Mr. A. R. Shivakumar, Senior Fellow, KSCST. The patent is currently held by Karnataka State Council for Science and Technology, Indian Institute of Science, Bangalore". Rainwater collected on the roof is pure and clean. However, many substances (leaves, bird droppings, dust, etc.,) mix with this pure water on the roof. The suspended impurities has to be filtered before the rainwater is stored. Water mixed with soluble impurities has to be allowed to flow and the 'first flush' of rainwater from the relatively cleaner and purer subsequent rain water is to be collected. PopUp filter is a simple in design and very flexible to install in varying field conditions and is working satisfactorily in many residential and smaller institutional or industrial buildings. 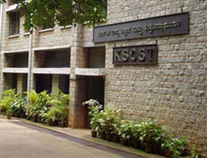 KSCST had licensed the technology to Raj Irritech Pvt. Ltd., Ahmedabad, Gujarat who successfully commercialised and marketed the device between September 2009 to September 2014.